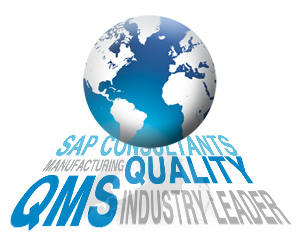 QMS is the industry leader in the SAP Manufacturing space, and more specifically the experts when dealing with Quality Management (QM) components. If you run a manufacturing facility and run SAP or are considering SAP, QMS can take your operation to the next level, guaranteed. Our firm is small enough to be flexible and provide you with the personal attention you deserve, and large enough to be reliable, effective and well known throughout the industry, a perfect combination. Our world class consulting experience in the Quality area of SAP affords our customers the benefit of both the industry experience and our SAP knowledge of options and quick wins to address your current and future requirements and business demands. Our customers rely on QMS to provide them with advice and access to our SAP highly specialized expertise. When it comes to SAP implementation and outsourcing, its important to partner with a firm that can maximize your use of the technology. In general we deliver a different type of service to your organization than other firms. As the leader in this area, we are bringing our proprietary methodologies and frameworks to guide the identification of problems, and to serve as the basis for recommendations for more effective ways of performing work tasks. We look for ways to implement a phased approach and identify quick-hit quick-win areas. We value our relationships with our customers, and above all else, our reputation, which relies on the success and happiness of our customer. We deliver superior SAP enhancements, customization & implementation, based on your business objectives. We provide unmatched business process & technical expertise across the enterprise. Established SAP Technical Expertise and cross industry SAP development experience in SAP NetWeaver Platform (ABAP, JAVA, XI, RFID, MDM, Portal), PLM, Duet and more. We work to ensure our clients implement a solution that not only provides benefits, but is easy to maintain in the future. 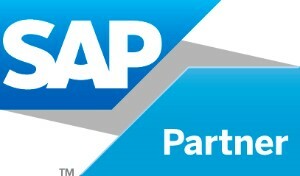 We have a strong relationship with the QM Solution Management Team at SAP AG. We reach out to them when needed and in turn are asked for our opinions and direction in guiding where the SAP QM product is headed. The high level of dependencies and complexity of the SAP Quality area with respect to most manufacturing models is too important to be left to chance. The elements of a quality management system of standards are represented by integrated functions throughout the entire R/3 System. So, why go with QMS? Our people are the key differentiator. QMS provides our senior consultants, proprietary methodology and the full strength of our entire organization to deliver quality results to your team. We stand behind our work, and we have a long list of satisfied customers who agree. QMS has the ability to ensure your project is completed on time, and on budget, by true SAP experts. Our supply chain management systems and consulting services are employed by firms worldwide. QMS is the right partner to deliver the best solution in the shortest amount of time and to support the overall strategy. We’ll create a roadmap for success and then deliver on it.